The Season of the Witch released today. Be warned, this one is pretty spicy. I’m proud that I was able to pull off a shifter story as this was the first one I wrote. And, yeah, I know I have another one out in the world, but it was written after this one. He turned to her and she had to force herself from gasping at his beauty. He was most certainly not old. He looked at her with eyes the color of a glacier. She was immediately transported in her mind to Glacier Bay in Alaska, where she’d seen the calving of the ice into the ocean. His eyes pierced her soul. They seemed to see into the depths of her mind. “Are you all right?” He peered at her. He spoke with what sounded like a Russian accent. She shook her head as if to clear it. “I’m fine. Sorry, I was just gazing into my crystal ball. I’m still in a sort of trance. She hoped the lie wasn’t obvious. “I could ask you the same thing.” She leaned on the wooden top of the counter. “I asked you first.” He winked and leaned in from his side of the counter until his nose was almost touching hers. « Here Be My New Book Trailer! Sounds good. I like shifter stories. Congratulations on the release. Thanks Lavada. I guess I should’ve posted the excerpt, huh? LOL! Yup! I have a wolf shifter in the next book of the Blackhawk series but it’s a minor in the plot. I’m copying the exceprt now and gonna slide it in. LOL! Awesome! 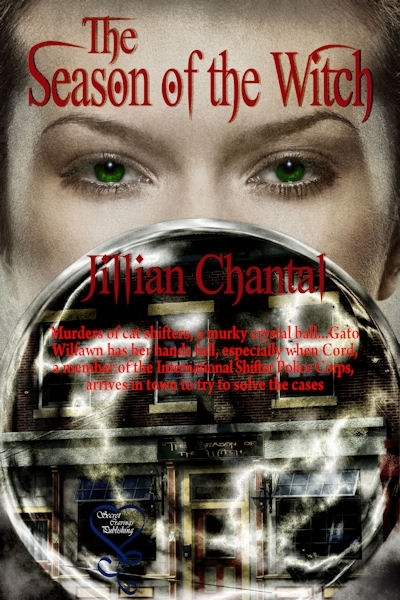 Congratulations on this new release, Jillian! I just popped over to Secret Cravings. it looks wonderful! Thanks Laurie! I appreciate it. Thanks Danica! I appreciate the good wishes! Congratulations, Jillian! I love shifter stories and my Kindle needs something new. Kindles get hungry, don’t they,Shay? Thanks for the support, friend o’mine. Love my new nickname. Lol.